Click on "Apps" to the left and open your Installed apps. Click the "Visit Shopify App Store" button (top-right). Type "Viralstyle Fulfillment" in the search field, and click the app to open. Click the "Install App" button. This will redirect you to the Viralstyle.com Homepage. 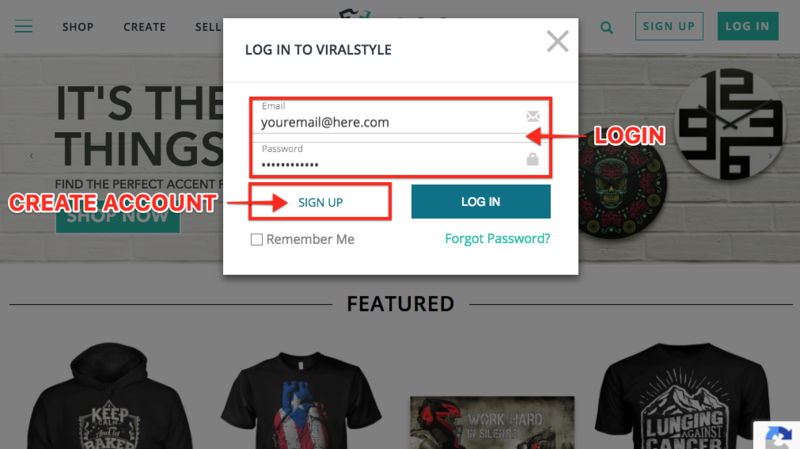 Login to Viralstyle using your account email & password, or "Sign Up" to create an account. 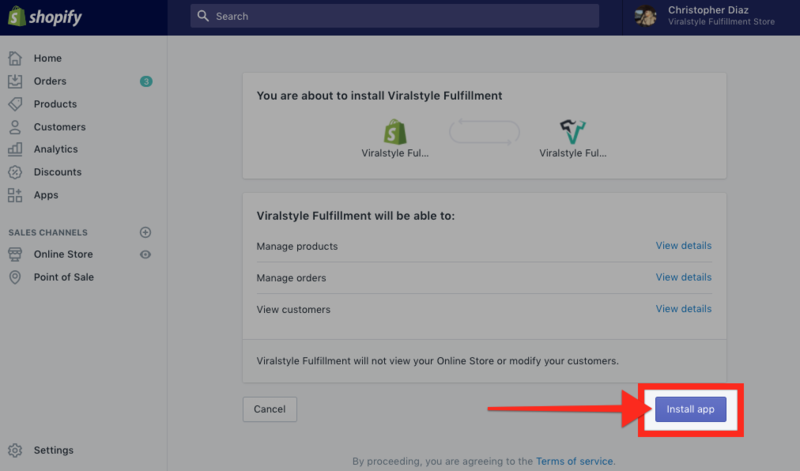 This will redirect you back to the Viralstyle Fulfillment App so you can add your payment method to get started!